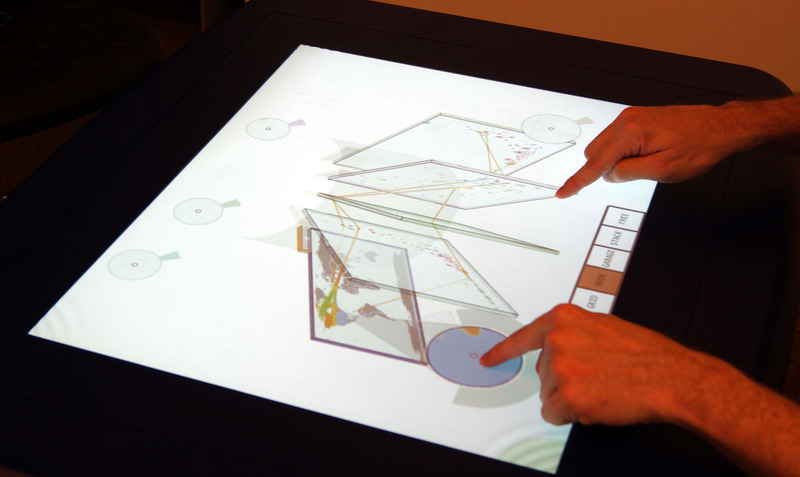 We present the Rizzo, a multi-touch virtual mouse that has been designed to provide the fine grained interaction for information visualization on a multi-touch table. 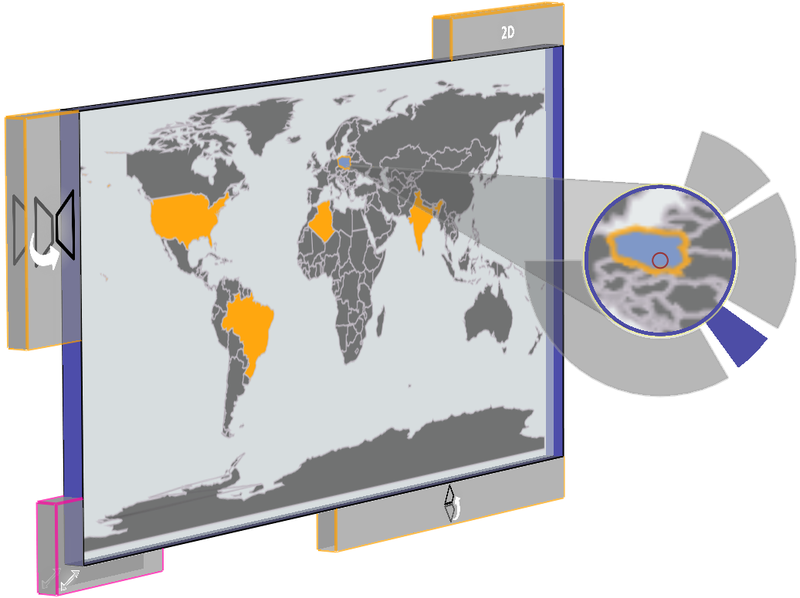 Our solution enables touch interaction for existing mouse-based visualizations. 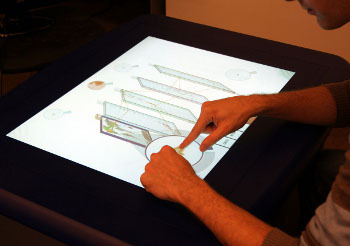 Previously, this transition to a multi-touch environment was difficult because the mouse emulation of touch surfaces is often insufficient to provide full information visualization functionality. We present a unified design, combining many Rizzos that have been designed not only to provide mouse capabilities but also to act as zoomable lenses that make precise information access feasible. 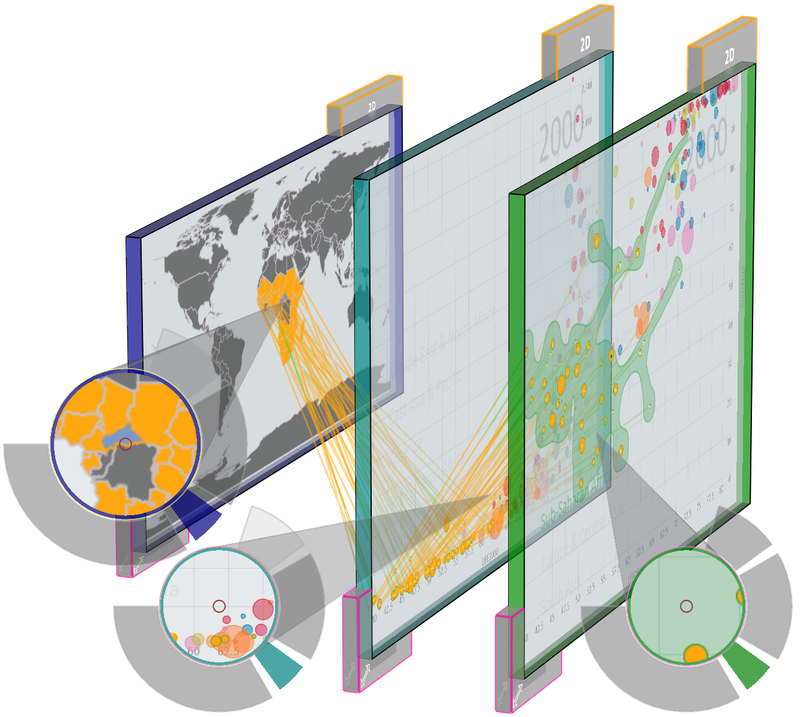 The Rizzos and the information visualizations all exist within a touch-enabled 3D window management system. Our approach permits touch interaction with both the 3D windowing environment as well as with the contents of the individual windows contained therein. We describe an implementation of our technique that augments the VisLink 3D visualization environment to demonstrate how to enable multi-touch capabilities on all visualizations written with the popular prefuse visualization toolkit. This work was done at and in collaboration with the Innovis group at the Interactions Lab of the University of Calgary, Canada. For more information see the project page at Innovis.